The 23-year-old has taken up residence in a new flat in Newspaper House – the former home of the Lancashire Telegraph. It’s opposite the landmark Cathedral Quarter leisure and office development, which includes the Caribbean restaurant Turtle Bay, where Ben is an assistant manager. “It’s a cool location. It’s a brand new apartment which was partly furnished with a washer, dryer and fridge freezer, and I work just 30 seconds across the road so it’s ideal. The Newspaper House conversion has been undertaken by Empire Property Concepts and Blackburn with Darwen Council has worked closely with them to see the building given a new lease of life. “We are delighted to have played our part in the transformation of Blackburn town centre and really proud of the quality accommodation being provided now at Newspaper House. “There are many of these disused office buildings in town centres across the country and it’s a real shame to see them standing empty. 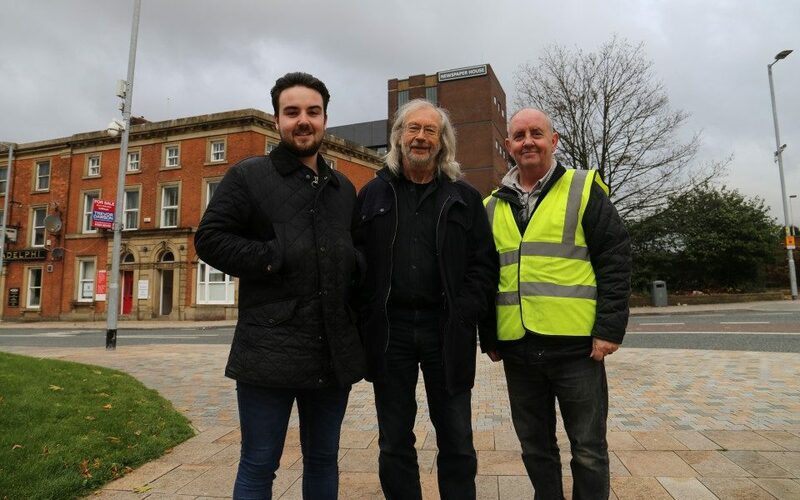 “I’m impressed with this development which will help to change the way people see Blackburn and the town centre. “We know that a vibrant town centre can’t just be about retail; we also need to encourage more people to come and live here, which will in turn support the shops, bars and restaurants.